Patrick O. Flannery DDS, Inc.
Comprehensive Dental Care for West Chester and Butler County! Everyone needs to see the dentist, whether to maintain a healthy mouth for themselves and their family, rebuild the beauty of their smile, or because they are experiencing a dental emergency. For the people of West Chester and the surrounding communities, Patrick O. Flannery, DDS, Inc. is a practice proud to help their patients resolve these issues and maintain lifelong healthy smiles. The office of Dr. Ringgenberg located at 7368 Kingsgate Way, West Chester, OH 45069 has decided to close its doors. Dr. Ringgenberg has chosen to refer all current patients to Dr. Flannery's dental office. We assure you that we will provide the top quality dental care you expect to receive. To schedule an appointment with Dr. Flannery, please call our office today at (513) 715-0101! Most patients want a dental practice that meets their many needs through comprehensive care, and our practice is able to do so! Our West Chester dentist offers a wide range of general, emergency, and cosmetic dental services in an environment comfortable for patients of all ages.Our wide range of procedures helps us treat almost all of your dental needs, for adults and children alike. For many people struggling with dental anxieties, even routine cleaning visits can be a nerve-wracking process. We help patients stay calm and relaxed during their visit by fostering a warm, welcoming atmosphere in our office. By helping patients feel at home, Dr. Flannery and his team can help patients overcome their anxieties. Throughout your treatments, we try to make you feel as comfortable as possible. Within each of the operatories, electric hand pieces for our tools eliminate unpleasant noises that can trigger patient discomfort and anxiety. Topical numbing gel is used before making any injections, for which Dr. Flannery is often complimented. From when you walk into our office to when you walk out, even the warm taupe and comforting grey of our office’s décor helps you stay as relaxed as possible. We understand that for some patients with severe dental phobia, a relaxing environment may not be soothing enough. To help you overcome anxiety, we also offer nitrous oxide, as well as valium for conscious sedation. Schedule a Visit at our West Chester Office! Evening & Saturday Appointments Available! From basic preventive cleanings to teeth whitening, Dr. Flannery’s comprehensive family dentistry is able to help most needs. 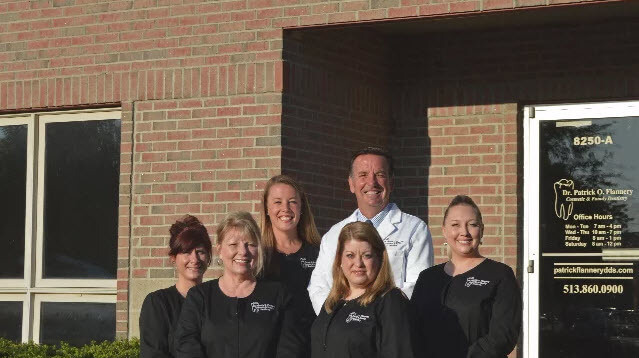 Patrick O. Flannery, DDS, Inc. provides its exceptional services to the Becket Ridge/Lakota School District, greater West Chester, Liberty Township, and Butler County areas. To find out all of the ways that we can best help you, call our office in West Chester today! Dr. Patrick Flannery, DDS, Inc. 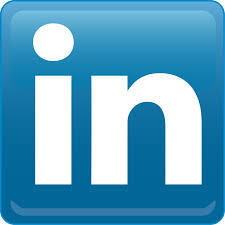 Follow and Leave Us a Review!